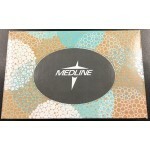 Purchase wholesale hygiene products from us today. 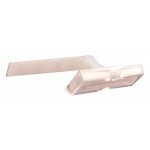 D&W Sourceall, Inc the best online source for wholesale products. We also make wholesale hygiene kits, and if you have the need of a custom wholesale hygiene kit call us with your details. 1 oz. Suave Lotion $0.42 Each. 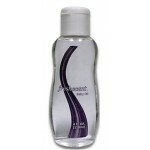 Wholesale Suave Body Lotion in 1 oz. tube. This wholesale product is the perfect size to have in you..
2 oz. Hand Cream $0.42 Each. Treat and nourish your hands and nails with the special blend of shea butter, keratin, sun flower oi.. 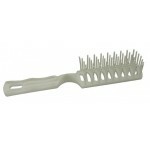 This is the perfect comb to carry on your back pocket and have available at all times. These wholesa.. This vented hairbrush is ideal for detangling, smoothing and grooming hair while maximizing volume. 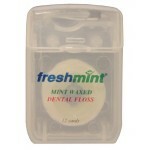 ..
Freshmint Dental Floss. This is one of those wholesale hygiene products that you need to have on you..
Freshscent 4 oz Baby Oil is great for both babies and adults to help soothe skin and keep moisture i.. 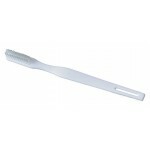 Polypropylene Toothbrush 37 Tuft $0.10 Each. Freshmint 37 Tuft toothbrush. This wholesale hygiene product is perfect for building hygiene kits fo.. Single Blade Razor $0.09 Each. This single blade razor is sharp and it comes with a blade cover. This wholesale hygiene product is ..
Wholesale Toothbrush Holder is great wholesale hygiene product for traveling or at home to keep your..
1 oz. Suave Body Lotion $0.42 Each. Suave Sea Mineral Lotion on travel size. 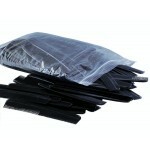 This wholesale hygiene product is the best way to go when t..
10 Pc. Travel Kit $3.75 Each. 10 Piece Travel Kit- Medium Toothbrush- .85 oz. Toothpaste- 12 x 12 Washcloth - 2 oz. Hand Sani..
2-ply facial tissues in white.40 tissues per box. Case of 200..
30 Tuft Toothbrush $0.08 Each. 4 oz. Baby Powder $0.78 Each. Freshscent Baby powder. Shake powder into hand and smooth onto skin to help feel soft all day.Easy g..